Gurchet Chittarkar presents Full Nazare a comedy play based on real life incidents. Chittarkars full nazare contains lifes facts in humor punches. Watch the videos and get a closer look of life. Find out what more Gurchet Chittarkar has in his kitty. Keep watching to find out more. 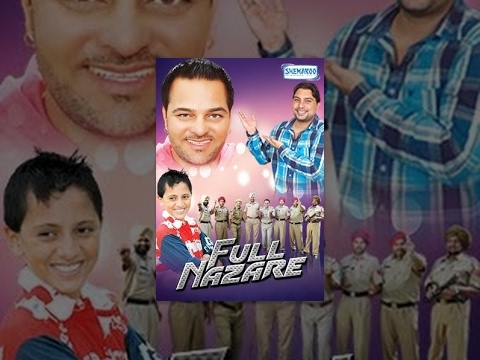 © 2018 Scratchu.com Full Nazare | Gurchet Chittarkar, Gurdeep Kakrala, Daman Deep Sandhu - Full Nazare (2011) | Punjabi Movie | 5.0/10 | Synopsis : Gurchet Chittarkar presents Full Nazare a comedy play based on real life incidents. Chittarkars full nazare contains lifes facts in humor punches. Watch the videos and get a closer look of life. Find out what more Gurchet Chittarkar has in his kitty. Keep watching to find out more.... Watch Online!! !